March is National Women’s History Month. With that in mind, HG Logistics, LLC, a third party freight brokerage firm out of Cincinnati, Ohio would like to highlight some of the many monumental contributions that women have made in trucking and transportation. Anne Rainsford French Bush was the first female licensed driver in 1900. But driving a car wasn’t the only mark made by women in the early 1900s. In 1903, Mary Anderson invented the first windshield wiper! 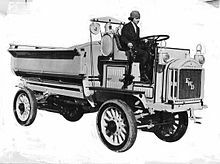 Luella Bates worked for the Four Wheel Drive Auto Co. beginning in 1918 and was the first female truck driver in US History. She drove as a test driver during World War I and remained with the company even afterward. Luella became famous for being their “lady driver” and received accolades in many publications. She also became the first woman licensed truck driver in the state of New York. Looking back to World War II, women everywhere in the US fell alongside Rosie the Riveter to k eep America going by taking up any and all jobs once held by men. Women worked on assembly lines in factories, making everything from bearings to hubcaps to automobile bodies. Without these women, with so many men fighting in the war, America would have grinded to a halt. We can even thank a woman for the term “riding shotgun”. Annie Box Neal aided her hu sband in the transportation of goods, usually gold bullion, before big rigs were thought of. She was known for sitting alongside her husband as he drove, with her trusty shotgun in hand. Rusty Dow was the first woman to drive the Alaska Highway. She did it in a Studebaker 6×6 with 10 wheels, broken gauges and a 40 gallon tank. Famous musician Della Reese and actress Bea Arthur were also some of our first and most well-known female truck drivers. In Politics, in 1980, Alinda C. Burke became the first woman to be sworn in as Deputy Administrator for Federal Highway Association and Elizabeth Dole was appointed Secretary of Transportation in 1983. HG Logistics LLC is proud to use the services of, and support, the many women drivers who strive to provide top-quality service. We find great importance in partnering with all individuals who will cultivate strong business relationships regardless of gender. It is our honor to celebrate the many historical achievements made by women in our industry.